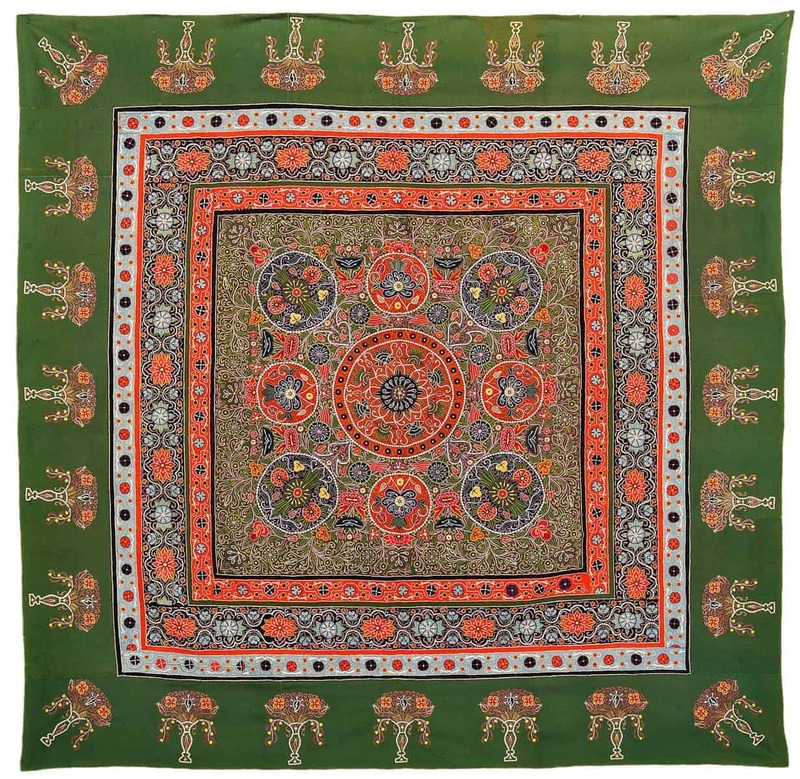 More than a hundred objects of decorative and applied arts from the collections of the Azerbaijan Carpet Museum (Baku) and the State Museum of Oriental Art will be displayed in the halls on Nikitsky Boulevard. The exhibition hall will feature traditional interior of the 19th – early 20th-centuries Azerbaijani houses. Design and ornaments on carpets, embroideries, clothes, copper utensils, and jewelry carry will be on display. Museum visitors will be able to enjoy exhibits from the Azerbaijan Carpet Museum’s rich collection, associated with the wedding ceremony, dowrys, various types of embroidery, bedcovers, tablecloths and much more. Niche curtain. Ganja, Azerbaijan late 19th century. Azerbaijan Carpet Museum’s Collection. 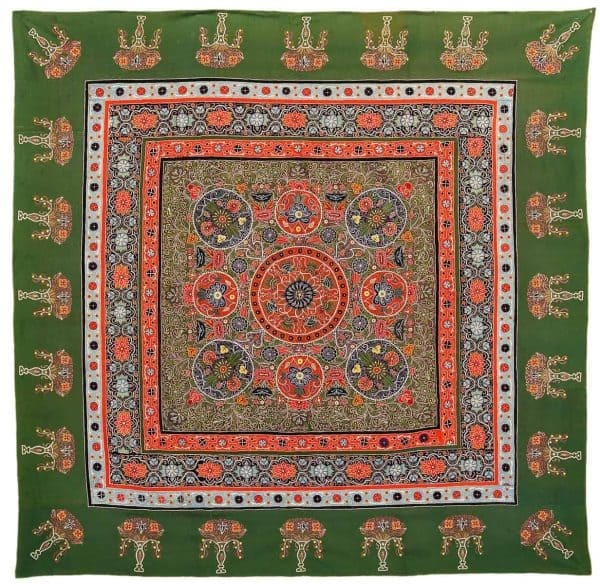 A special part of the exhibition displays the items related to beliefs – from prayer rugs to traditional amulets. 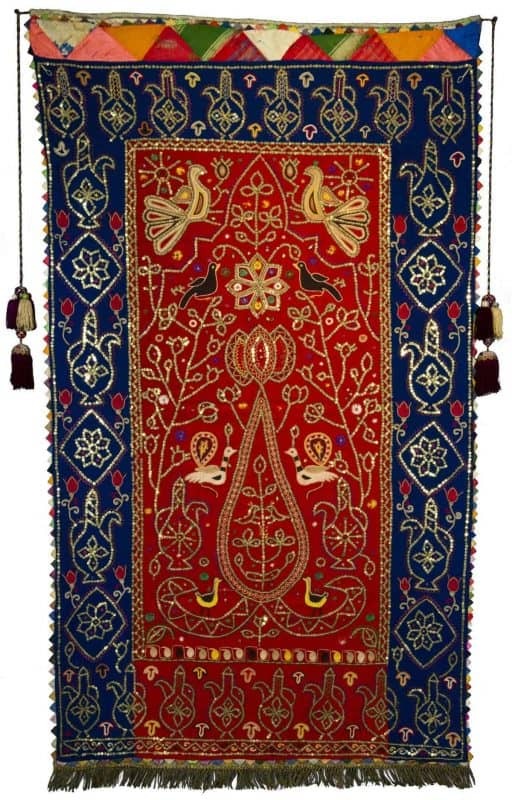 Among them a 19th-century prayer rug, decorated in satin stitch embroidery and gold embroidery. Ambassadorial tablecloth. Azerbaijan late 19th century. State Museum of Oriental Art’s Collection. Ambassadorial tablecloths compose a special group of exhibits. They were used during palace receptions in honor of foreign ambassadors and also presented to diplomats and other foreign guests as special luxurious items. 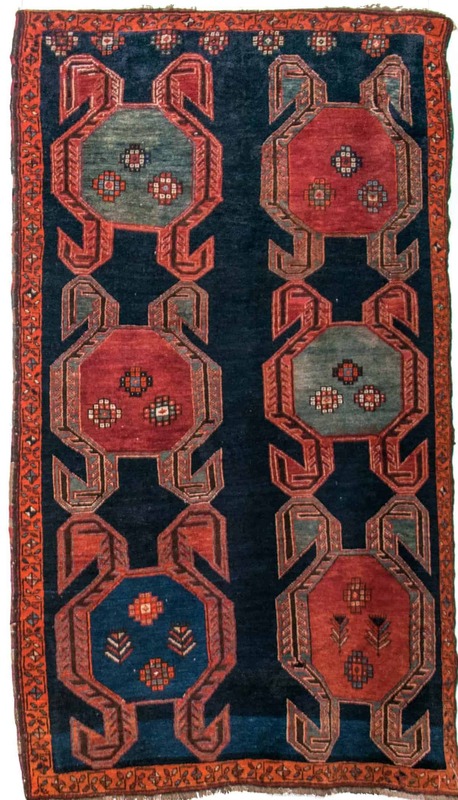 The Karabakh’s 19th-century Bahmanli carpet is the exhibition’s essential item. It is the first exhibit of the State Museum of Oriental Art’s collection, obtained in 1918. The exhibition Harmony of Space. Traditional Art of Azerbaijan will reveal the audience about the Azerbaijani people’s ancient culture and beauty. The organizers include Ministry of Culture of the Republic of Azerbaijan, Ministry of Culture of the Russian Federation, Embassy of the Republic of Azerbaijan, State Museum of Oriental Art’s, and Azerbaijan Carpet Museum. The curators include Shirin Melikova and Maria Filatova. Location and more information: Harmony of Space Traditional Art of Azerbaijan, Nikitsky Boulevard 12a, Moscow.